Travelling to Tokyo? Grab a Suica or Pasmo travel card! Japan’s Suica and Pasmo cards are your ticket to ride on Tokyo’s JR trains, private subway lines and Narita’s N’EX express airport train. Add tap-and-go payment at railway kiosks, convenience stores, buses, taxis and even vending machines, plus other public transport systems in a dozen other parts of the country, and you can see why one of these prepaid ‘e-money’ cards is almost a must-have for business travellers to Japan. Suica vs Pasmo: which card should you get? There’s no real difference between Suica and Pasmo cards except that Suica belongs to Japan’s national train operator JR while Pasmo is offered supported by a number of private railway operators. Each cards works on both train networks, and a variety of train and bus networks in other Japanese cities, so you only need one card to carry around. If you’re flying into Tokyo’s Narita airport I suggest buying the Suica & N’EX package. Available from the JR East Travel Service Centres outside the train ticket gates at Terminal 1 and 2, the ¥5,500 (A$62) combo includes a return ticket for the fast Narita Express to central Tokyo plus a Suica card preloaded with ¥1,500. That’s a saving of around $24 over buying a Suica card and N’EX roundtrip ticket separately. Otherwise you can pick up a Suica card for ¥2,000 ($A22) or a Pasmo for ¥1,500 (A$17) from smartcard ticket machines at most train stations in Tokyo. Those prices include a refundable ¥500 deposit, so depending on which card you buy you’ll have either ¥1,500 or ¥1,000 as credit. Train fares for shuttling around central Tokyo are fairly low, at between ¥160 and ¥170 (around A$1.85), so that balance should be enough for a few days. When buying either card you’ll have the option to register it via the ticket machine’s touchscreen. 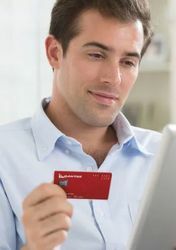 It’s a quick process which means the card’s balance will be refunded if you lose the card. Your card's balance is displayed as you check through a turnstile, or you can just tap it on a vending machine without making a purchase. 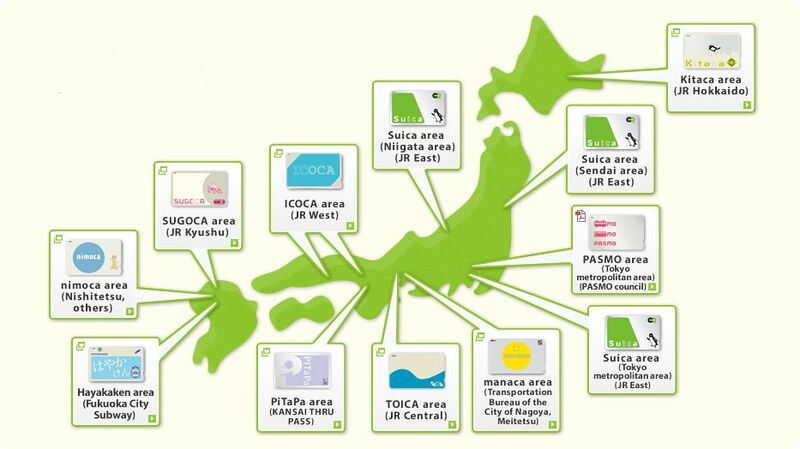 To add value to your Suica or Pasmo card, look for a smartcard ticket machines at any railway station. It’s a quick process but you’ll need to have a few Yen notes on hand (the minimum reload is ¥1,000) as the ticket machines don’t accept credit cards. When it’s time to head home, you can get a refund on the balance of your Suica or Pasmo card provided you have conversational Japanese language skills. Yes, there’s always a catch! Just front up to the station manager’s office at any train station in Tokyo. A ¥210 processing fee will be deducted from your card’s balance but the rest, along with the ¥500 deposit, will be handed back to you in cash. While there's undoubted convenience in a Suica or Pasmo card, especially when used outside of public transport, if you're only interested in getting from A to B and will be heading further afield than Tokyo it can be better value to buy a Japan Rail Pass. The JR Pass provides unlimited travel on Japan Railways trains and buses, along with most of those wonderful Shinkansen bullet trains (except the fastest Nozomi services). A seven day pass sells for ¥28,300 (A$320), or ¥37,800 (A$425) if you want to stretch out in the first class carriages. It's hard to justify just for Tokyo – especially as the JR Pass doesn't cover private subway systems – but if you're planning some Shinkansen side-trips the JR Pass comes out ahead. The JR Pass is only available outside Japan, so you'll need to buy it before you travel – for details of Australian distributors, visit the JNTO Australia website. Christopher Madigan is a high school student based in Tokyo, but with a bag always packed and ready to fly! I am off to Japan in January for a skiing holiday via Tokyo, and have been looking at both the Keisei Skyliner deal with two days free on the Metro and Yamamoto vs N'EX with Suica. An leaning to to Keisei deal, but will need to buy a point to point to take the metro to the monorail then out to Haneda. Hence want to consider Suica/N'EX. 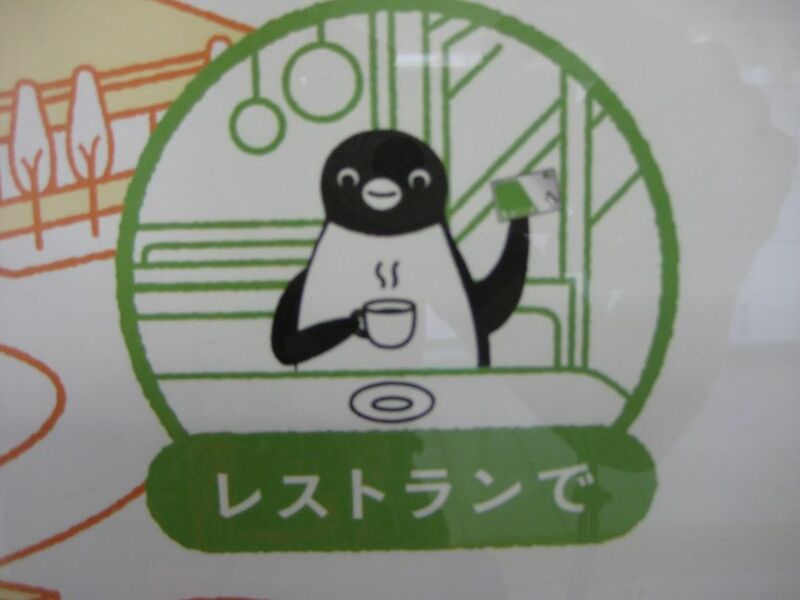 Will the Suica Card be accepted by retailers/vending machines in Niseko/CTS? Considering both deals, I would suggest the Suica and N’EX deal: once you take the Nartia Express to Tokyo Station, it is only three stops on the JR Yamanote Line to Hamamatsucho, where you would then transfer to the monorail bound for Haneda Airport. Roundtrip costs to and from Haneda Airport are covered with the initial charge of the Suica. As there is no transfer to a Metro line necessary, the Metro portion of the Skyliner deal is redundant. However, the best way to get from Narita Airport to Haneda is to take the Airport Limousine Bus. A single-trip fare is ¥3,000, and you bypass tedious transfers. You can purchase tickets at Airport Limousine counters near exits at the arrival halls of both airports. As for Suica use, the smartcard is accepted at numerous vendors at CTS and can also be used on train lines operated by JR in Hokkaido. I am afraid I do not know whether or not Suica is accepted in Niseko, but my best bet would be that it is not. Great article! I travelled to Japan last year and luckilly had people with me who knew about these cards, so it was very easy to get around Tokyo. Japanese people are very friendly, so asking for help was also not a problem! Great tips, I love these kinds of articles! 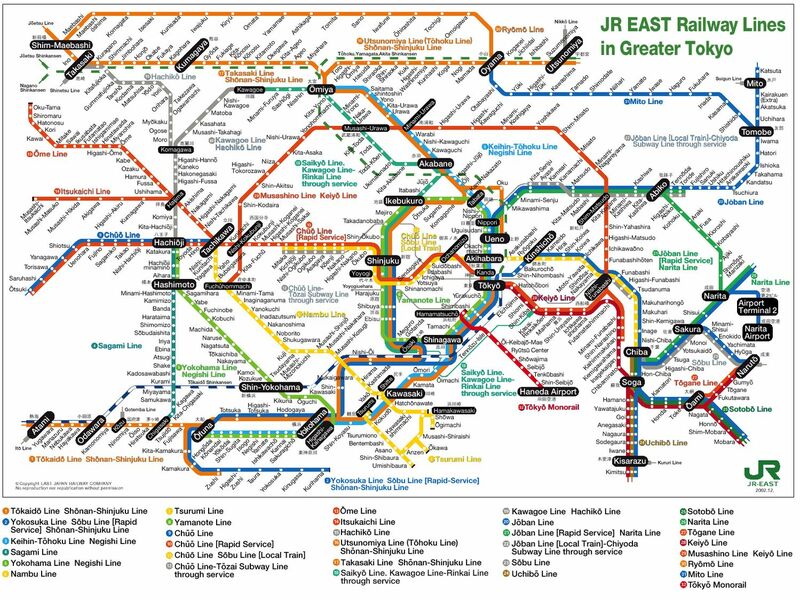 Chris you're right that just for trains around Tokyo the JR Pass is best as long as you stick to JR lines, the Yamanote Loop is brilliant. But next time I go to Tokyo I think I'll grab a Suica card anyway, a lot more useful. 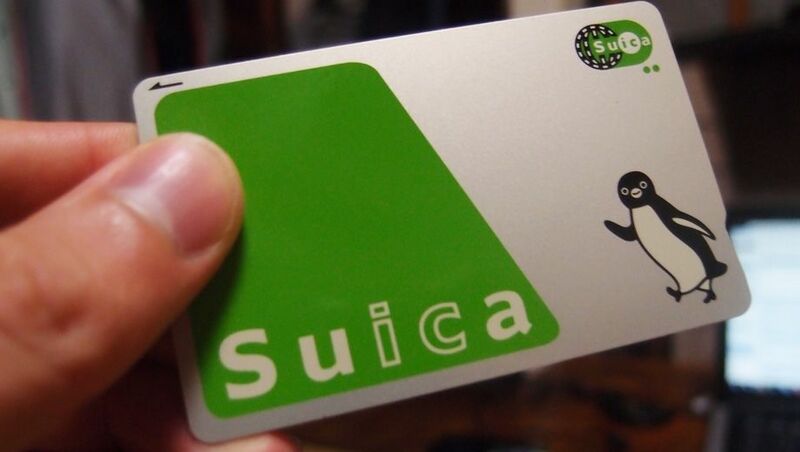 I've been using Suica for years. Thanks for this - I'm making my first trip tp Tokyo next month and it's just what I needed to know. One more smart card to add to my substantial collection. Makes you wonder why Australian cities (egMelbourne) make such heavy weather of such systems. Noumea, not exactly a mega-city, has had the system for at least 15 years. Well, Canberra got the "MyWay" system in place very quietly. There was a small notice about 1.5 years out saying “we’re bring in a new ticket system”, then nothing until “we are about to test the new system”. Then you have Sydney, which had planned to have a smart card ticketing system in place before the 2000 Olympics. And… 14 years after it was meant to be running, they are still trying to get something useable. Hi. Great article. You have made it a bit clearer but i'm still a little hazy on the train system. Flying to Osaka in March. Planning on travelling to Kobe and Kyoto over 3-4 days. (not as far as Hiroshima). Then training it to Tokyo for about a week. A few day trips but not sure where yet. Not too far out I don't think. Then flying out of Tokyo. Was thinking a JR West Pass for my 3-4 days in Kansai region. Buying a seperate 1 way to Tokyo, and then using Suica or pasmo card for Tokyo. A JR pass seems expensive if we can mostly use metro. Can I use suica through Kansai. Also is it easy to simply get train from Kansai International to Osaka and then Tokyo Narita? Sounds like you've got a great holiday in Japan lined up! Flying into KIX and out of NRT is a good idea to save going backwards and forwards. To answer your questions, Wiki reckons you can use a Suica on JR West trains in Osaka and JR West's ICOCA card in Tokyo if you get one of them at KIX and take it east with you. I've never done it personally but it sounds accurate. There is also an all-day Tokyo Metro pass for 710 yen per day, that could be worth it if you're taking lots of subway rides (one ride is about 170 to 230 yen). And yes, the train from Kansai International (KIX) to Tokyo is easy. Take the Haruka limited express and get off at Shin-Osaka station (note: not Osaka station, they are different). From there you can get the Shinkansen to Tokyo and from Tokyo the Narita Express to NRT. (Many Shinkansen trains to Tokyo start their run at Shin-Osaka, so you can usually get a non-reserved seat there if you don't book a seat in advance at KIX). If you're staying in Tokyo as you plan then I recommend taking the Keisei Skyliner to NRT from Ueno or Nippori Stations (not far from Tokyo Station) which is faster and cheaper than the Narita Express (it runs on high-speed tracks for part of the route, whereas the Narita Express only runs on regular tracks). i am off to Japan in January 2016. However i would like to plan/booking earlier to get the cheaper price. I will arrive at Haneda Airport and will spent about 7 days in Tokyo. Any suggestion what pass should I buy which is suitable for my trip. I plan to go to explore Tokyo city (Akihabara, Shinjuku, Roppongi, Ueno, etc), Tokyo DisneyLand, Odaiba and i'm planning to go to Mount Fuji (Ski Park) . I m travelling to Japan before Xmas this year staying in Tokyo for 7 nights and Osaka for 3 nights before heading home. Arriving at Narita airport, is it easy to buy train tickets at the airport and heading back to Tokyo? also planning to mt Fuji and Osaka and Hiroshima and tiba, is it worth while to buy 7 days tickets as we have 4 members in the family and is trying to save cost. any suggest schedule plan for the 7 days at Tokyo, this is a family holidays and I do not want to exhaust the kids? Suica/Pasmo or the 72 hour subway tickets which would work out the cheapest/best for the Tokyo area? I will be in Tokyo for 30 days I am happy to walk and be specific to using the subway only, or should I use the IC card and grab any available train or subway to locations? Comment on "Travelling to Tokyo? 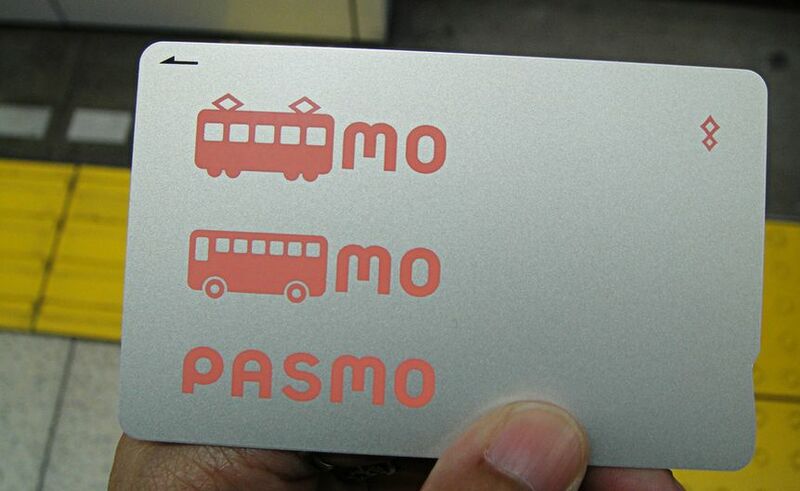 Grab a Suica or Pasmo travel card!"